It's to be expected when you walk into a bar, night club or billiard hall that the ambiance will be friendly and inviting. 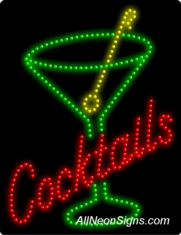 Neon Bar Signs light up the room and give customers festive attitude. They�ll spend more money and you�ll make more with these cost effective advertising tools that really work. Our stimulating signs are colorful and creative. You won�t find any better choices than right here at AllNeonSigns.com! 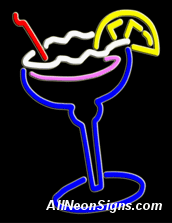 We have very ingenious fluorescent signs like: Cocktails; Juke Box Caf�; Rock-n-Roll; Tiki Bar; Texas Hold �Em and the ever popular �It�s 5 O�clock Somewhere�. 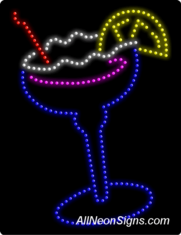 We have neon bar signs for many casinos including a Welcome to Las Vegas. There are even choices for exotic dance clubs and pool halls. 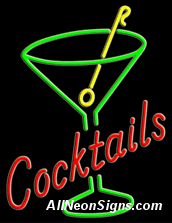 These aren�t just for businesses� hang one up at home for entertaining and parties! 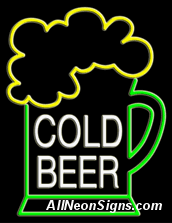 Neon Bar Signs are really cool and very affordable.